O prêmio concedido a Alvin Roth e Lloyd Shapley merece um comentário. O mundo capitalista encontra-se atualmente em meio a uma crise histórica e de proporções globais. Estados Unidos e Europa somam milhões de trabalhadores desempregado, em grande medida como resultado da alocação capitalista via mercados decentralizados. O prêmio “Nobel” anunciado nesta manhã representa um evidente paradoxo. Primeiramente, a teoria e o algoritmo de matching de Shapley e Roth podem ser entendidos como uma forma de corrigir os mecanismos de alocação dos mercado, ou mesmo como uma extensão dos mercados para áreas historicamente não ocupadas por estes. Neste sentido, o prêmio estaria em desacordo com a gravidade da situação da economia global. Entretanto, os mecanismos estudados por Shapley e Roth não são propriamente mecanismos clássicos de mercados decentralizados, já que tais “mercados” não alocam recursos através de preços. Ambos os autores chegaram à conclusão de que a melhor forma de corrigir os defeitos destes “mercados” seria justamente ter mais … planejamento. Isso mesmo, a correção proposta pelos ganhadores do Nobel pode ser também entendida como uma defesa do planejamento centralizado em detrimento da alocação decentralizada via preços. Reproduzo primeiramente o comentário do professor Richard Wolff, crítico em relação ao prêmio. Seu argumento principal é o de que a pesquisa de Shapley e Roth tenta melhorar e expandir os mecanismos de mercado, paradoxalmente ao mesmo tempo em que a economia capitalista nos países mais avançados já completa 5 anos de desemprego e recessão em alta. The ironies and absurdities of the Nobel Prize in economics announced today are more than any short note could possibly cover. So I will comment here on only one of them. The two winners, Alvin E. Roth of Harvard University and Lloyd Shapley of UCLA, worked on the details of markets, on market “failures,” and on how markets might be adjusted to fail less. This topic – for the Royal Swedish Academy of Sciences that awards Nobel prizes – was the most important they could imagine or find in the entire realm of economics during 2012. We are in the fifth year of a global capitalist crisis. Markets – like the economists who think that markets are the object of economic science – failed to anticipate, understand, prevent, or overcome the crisis. Hundreds of millions of workers have been rendered unemployed, underemployed, or deprived of benefits and job security. Millions engage in general strikes and massive demonstrations targeting a capitalism that has failed them. Serious critics of the current global crisis have focused on aspects of modern capitalism (including but not limited to markets) that produced and sustain that crisis at enormous social cost. Yet no crisis disturbs the tranquil continuity of the Royal Swedish Academy. Like the name “Royal,” its focus is backward. It sustains dead realities from the past like monarchy and dead theoretical fantasies like the “optimizing market mechanisms” fetishized by the mainstream of “neoclassical economics.” The Academy holds fast to the modern economics profession’s necrophilic obsession with markets and their minute details. Capitalism as a particular organization of production caught in complex, contradictory, and highly unstable relationships to politics and culture is not a topic these Royals find interesting. The Nobel Prize and the mainstream economics profession continue their endless celebration of capitalism and its “efficient” market structure no matter what. The deepening capitalist crisis challenges that mainstream by the resurgences of Keynesian, Marxian and other alternative economic theories. The mainstream reacts as if nothing has happened to warrant any question about let alone change in its exclusionary hegemony of the last 30 years. It cannot admit any need for change now lest that imply basic flaws in mainstream neoclassical economics. It must distract attention from the ways that neoclassical economics’ hegemony contributed to the crisis. An example that we’ve written about here at the blog is Roth’s work on kidney transplants. As much as economists think we should just have a market for kidneys, the rest of the world hasn’t quite caught up to that idea. So Roth came up with a different scheme – one that involves barter — that takes into account the real-world constraints that people aren’t allowed to pay for kidneys. So instead he developed a clearinghouse for connecting chains of pairs in which there is both a person who needs a kidney transplant and a person willing to give one, but who is not a good match medically to donate to his or her loved one. The key is that the potential donor is a good match for someone, just not for the loved one. But, if you can make a chain in which it all balances out: each donor matches with someone willing to donate, then it works out for everyone. Em terceiro lugar, reproduzo o interessante e provocativo comentário do professor Arindrajit Dube, que mantém a posição contrária. Em sua opinião, Shapley e Roth deveriam ser creditados por implementar mecanismos de planejamento centralizado na tradição dos matemáticos soviéticos. Isto porque o algoritmo de Shapley não corrige mercados decentralizados, mas sim defende que a melhor forma de alocar recursos quando não há preços é através de uma organização centralizadora que racionaliza a alocação. “The combination of Shapley’s basic theory and Roth’s empirical investigations, experiments and practical design has generated a flourishing field of research and improved the performance of many markets,” said the committee awarding the Sveriges Riksbank Prize in Economic Sciences in Memory of Alfred Nobel. The use of the word “market” in describing exchanges of every sort has become ubiquitous, even in cases where there is no actual price that helps clear the market or channel information. Perhaps due to this slippage, an interesting fact about the work receiving the award has been largely ignored. The concrete applications that are discussed as ways of “improving the performance of many markets”–such as matching residents to hospitals, matching donors to organs, and students to schools–are not really “markets.” At least not if we think of markets as institutions where prices help clear supply and demand. Instead, they involve non-market interactions, where the matches are actually formed by centralized exchanges. In these situations, decentralized and uncoordinated matching can produce unstable and inefficient matches, and gains are possible from centralization of some sort. Sometimes the price may not exist because of legal restrictions, but in other cases the participants may voluntarily forego using prices, as it might conflict with other objectives. This is exactly where the Gale-Shapley algorithm can be useful in implementing a “stable” allocation: an allocation where no pair-wise trades exist which can make both parties better off, which is one notion of optimality. In other words, this and similar algorithms can help implement … gasp! … economic planning. I know the word “planning” makes most of us feel uncomfortable–it surely produces many more whispers and giggles in economics seminars than terms like “aggregate demand” and “Keynes.” But the reality is that the technologies involved in designing exchanges for matching parties without using actual prices is at the heart of planning. In fact, this should not be a particularly controversial view, even though I think it’s largely a neglected one. (To my knowledge, the only person who has alluded to this is David Henderson, who bemoaned that this would all be irrelevant if we could just have prices for kidneys–and presumably college admissions; and suggested that next year’s award go to “the free market.”) Mathematically speaking, the Gale-Shapley algorithm is part of a class of optimal matching algorithms which is equivalent to the Monge-Kantorovich optimal transport solution, a signature accomplishment of Soviet mathematics. Oh, and it also implements the hedonic price equilibrium–you know, the same one if kidneys really did have a price. PS: For those who may not know, Leonid Kantorovich was a Soviet mathematician and economist who, among other things, helped invent the technique of linear programming while trying to fix the Soviet plywood sector. Let’s say that he was not entirely successful in the latter venture, but was the only Soviet economist to win the “Nobel” in economics. For much more on the promises and failures of Soviet planning, use of shadow prices in planning, and other fun stuff, read Red Plenty. You could do a lot worse. A central goal of economic theory is the efficient allocation of scarce resources to alternative uses. In some cases markets do this well but in other cases they do not. Shapley and Roth are brilliant pioneers in devising efficient allocation mechanisms in critically important areas were markets are not appropriate. 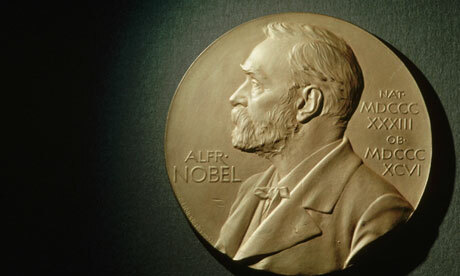 The Nobel committee did well in recognizing their work. As divergentes interpretações refletem o fato de que as contribuições de Shapley e Roth podem ser entendidas de duas formas: como uma extensão dos mecanismos capitalistas de alocação de recursos ou, ao contrário, como uma prova de deficiência da alocação via preços e sua possível substituição por mecanismos centralizados de planejamento. Visões Marxistas da Crise Internacional – Eleutério Prado e Jorge Grespan Direitos de Propriedade – Parte 2 – Por Que Hollywood Fica na Califórnia?